Fire & Water Damage Restoration is a key component of Integrated Property Solutions’ service offering. By trusting our experience and skill, many Adelaide businesses have gotten back on their feet and back to business sooner. It may be small scorch marks on the kitchen wall or a burnt-out roof. It may be some creeping moisture in the skirtings or a completely submerged basement. IPS has seen it before and we know how to handle the crisis. In the event of a catastrophe, once the immediate danger is over you need someone who knows how to pick up the pieces and get you back in working order. For damage on a smaller scale, you need someone with the right knowledge, equipment and skill to get the repairs done properly. Integrated Property Solutions is your trusted partner for fire & water damage restoration in Adelaide. With extensive experience in all areas of property repair and maintenance, you can rely on us when the unthinkable happens. Attend – we will attend your property at the agreed time and survey the scene. Our skilled field staff are experts in fire & water damage restoration and will project manage your job. 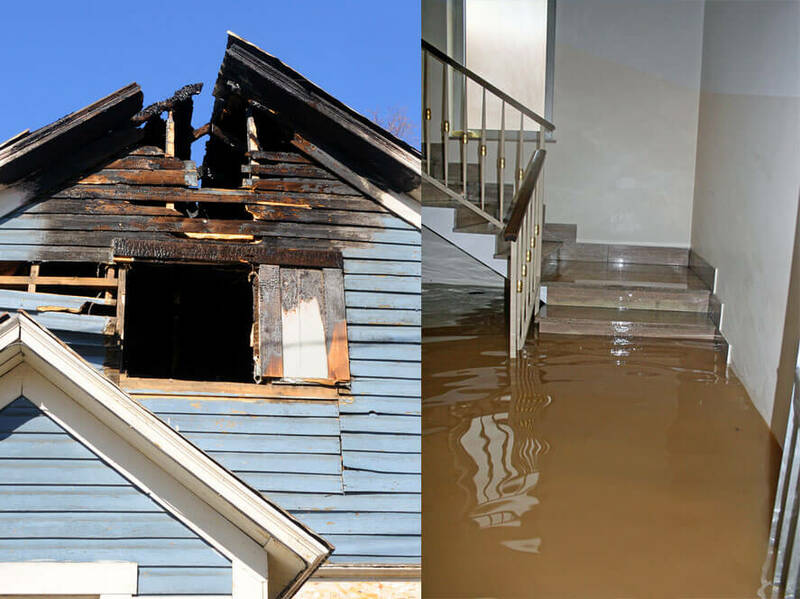 Restore – we will get to work on your fire & water damage restoration and leave no stone unturned. We have the right people, the right equipment and the right skills to get your property back in order. Maintain – once we finish the job we can arrange a programmed maintenance schedule to maintain your property. This ensures your property remains safe and protected from further damage. Why IPS for Fire & Water Damage Restoration in Adelaide? Structure – by having a robust company infrastructure we are able to react and respond to any emergency situation and conduct fire & water damage restoration to properties with any degree of damage.